If you are looking for charm and character in an updated house - this is it! Check out all the details this adorable bungalow has to offer. 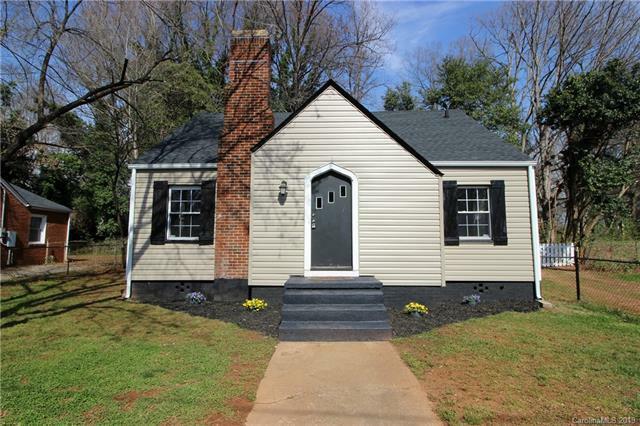 Freshly painted interior with hardwood floors, new granite countertops and backsplash, arched doorways, custom woodworking, updated bath with jetted Jacuzzi tub and new tiled surround shower. Updates include: New roof , new vinyl replacement windows, new light fixtures, new plumbing, new heat pump, new kitchen appliances and electric / service entry. Separate utility room and full attic with pull down entry. Private backyard with 10x30 patio, off street parking, and oversized lot. Convenient location just minutes to downtown, Iredell Memorial Hospital, I77 & I40. All this house is missing is a new owner to make it a home! Sold by Weichert, Realtors- Lkn Partners. The data relating to real estate on this Web site derive in part from the Carolina Multiple Listing Services, Inc. IDX program. Brokers make an effort to deliver accurate information, but buyers should independently verify any information on which they will rely in a transaction. All properties are subject to prior sale, change or withdrawal. Neither RE/MAX Impact Realty nor any listing broker shall be responsible for any typographical errors, misinformation, or misprints, and they shall be held totally harmless from any damages arising from reliance upon this data. This data is provided exclusively for consumers' personal, non-commercial use and may not be used for any purpose other than to identify prospective properties they may be interested in purchasing. © 2019 Carolina Multiple Listing Services, Inc. Data last updated 2019-04-25T11:59:12.18. © 2019 High Country Association of Realtors MLS. All rights reserved. IDX information is provided exclusively for consumers' personal, non-commercial use and may not be used for any purpose other than to identify prospective properties consumers may be interested in purchasing. Information is deemed reliable but is not guaranteed accurate by the MLS or RE/MAX Impact Realty. Data last updated: 2019-04-25T12:24:20.903.